Happy Monday :) It is a happy Monday for me. 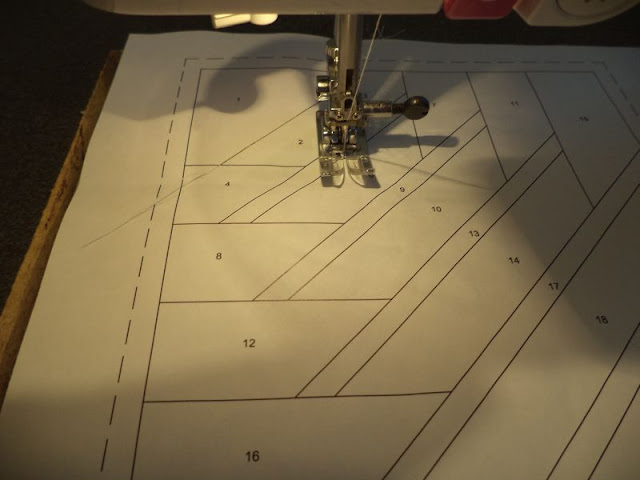 After working a loooong 3 days weekend I am back at the sewing machine. First things first I need to get this month's do. Good Stitches blocks done before I leave for my trip next week. This month Louise has us paper piecing her inside out pineapple pattern. Above is one finished quarter. I need to make 8 quarters in order to have 2 blocks. 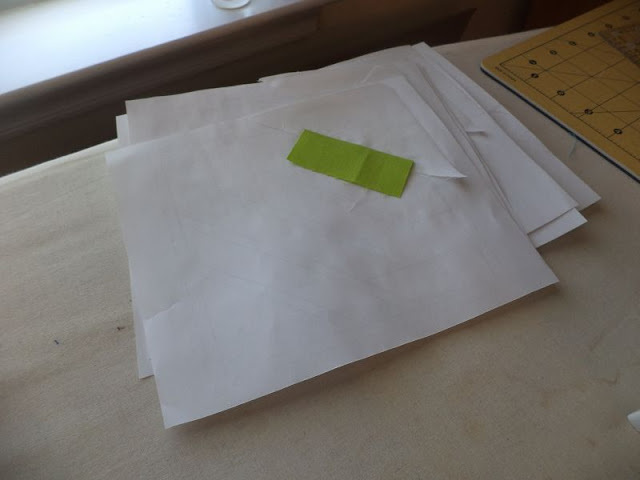 Now, while I don't hate paper piecing, it is definitely not my favorite. And so time consuming! After completing the first block to get my head around it I am assembly-lining the other 7. Currently I am attaching pieces 7 & 8 (of 20) to each of the blocks. If you come around here this afternoon your might hear some inappropriate words directed at Louise, but I promise it to only in the heat of the moment. This meticulously pieced will be gorgeous, and so worth it in the end. Right? Ask me again in a couple of hours. 5 hours of so later, here they are in all their glory! Linking to Judy's Design Wall Monday. Yes it's worth it, hang in there! Your blocks are gorgeous! 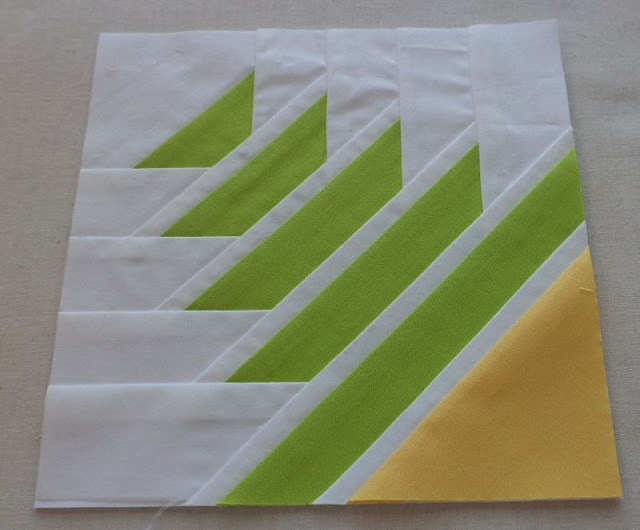 I am not a fan of paper piecing, but I love these pineapple blocks. I say keep going!! I worked on mine Sunday and finished last night. You can blame me for this month's block, I'm the one that wanted to do them. 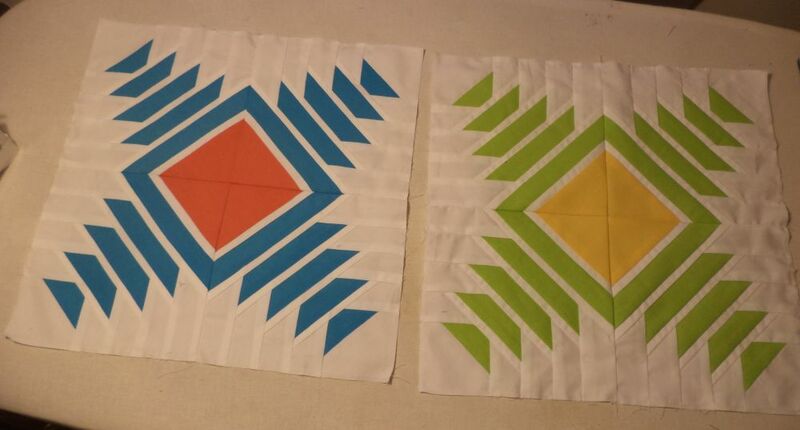 They are so very time consuming but I think this is going to be our best quilt ever! I just love love love these blocks! I need to get on mine! I finally printed everything out last night.